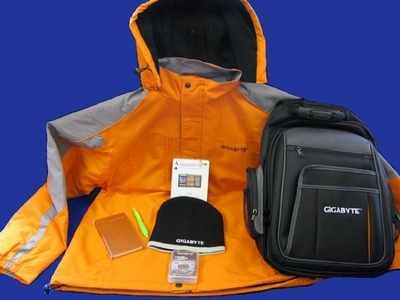 GIGABYTE UK is proud to introduce two fun ways in which you could WIN great prizes. Please register today and join our Forum. Join the fun and test your knowledge with GIGABYTE. Now your chance of winning is even greater than before, because this time we only have 1 question. Answer the question correctly and you could get yourself a GIGABYTE GM-M6800 Gaming mouse or 2GB USB Flash Drive. 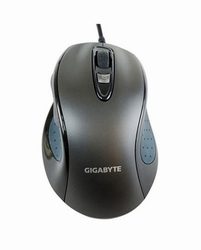 GIGABYTE has a total of 3x GM-M6800 Gaming mouse and 20x 2GB USB Flash Drive to give-away. All 23 winners who have correctly answers the question will randomly be picked. Q: What are the basic components which Ultra Durable 3 technology consists of? Please send the reply by PM (Private Message) directly to me me [runn3R] with the subject “June GigaQuiz Answer”. I will verify all the answers, but don’t leave it for the last moment, because you only have time until 30th June 2009. PLUS, we have more prizes to give-away’s. Especially for people that are active on our Forum, we would also like you to have the opportunity to WIN prizes. These Lucky packs will be randomly given to users which are active on our Forum. Thank you and Good luck to you !!! First of all thanks to everyone who participated. During June I received far more answers than during previous GigaQuiz. Our best congrats to all winners! P.S. To the winners: please send your full name and address by PM to me with subject "Shipment data for June promotion", thanks! Thanks for the Flash Drive, it works great (just like all my other Gigabyte stuff ). Everbody wants one but I've never seen one for sale. Are these a promotional item only?